Papillomas are typically benign growths of the epithelium caused by a human papilloma virus (HPV). When found on the skin, papillomas are more commonly referred to as warts or corns. The growths, which arise from a single infected cell, characteristically exhibit small fingerlike projections and are frequently lobulated with a central vascular core. Papillomas are usually not painful and those located on mucus membranes, especially those of the genital tract, may go unnoticed for long periods of time. Occasionally, however, some cases of genital or venereal warts may be associated with significant pain and itchiness. 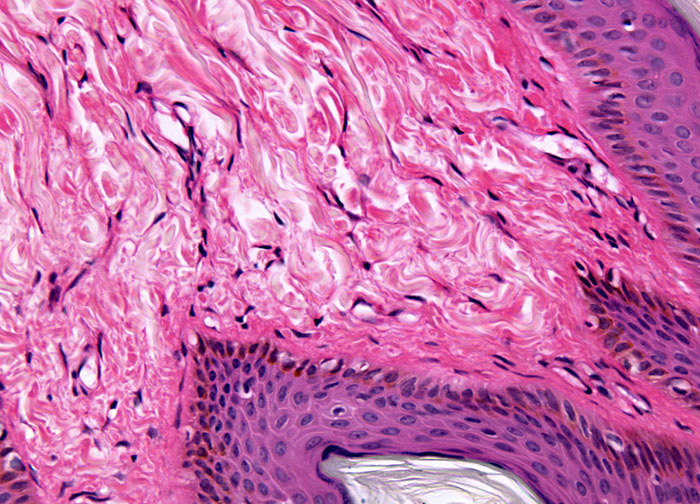 In rare cases, papillomas may mutate and lead to cancer.